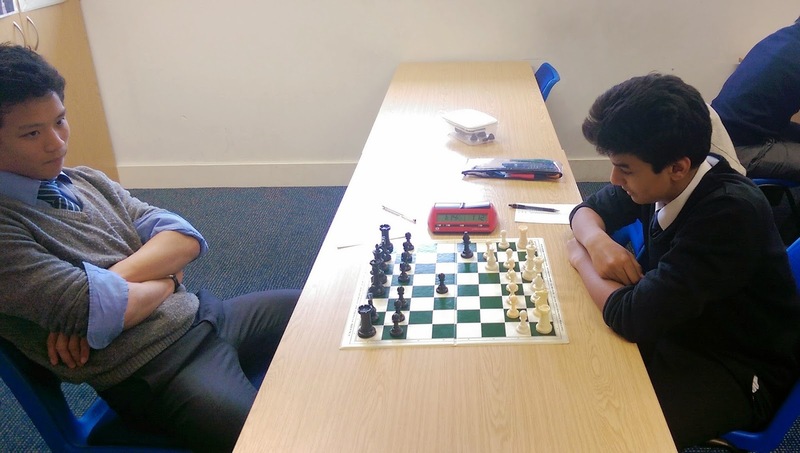 On Tuesday, Woodbridge School faced the might of Haberdashers' Aske's School in the Zonal Final of the National Schools Championships. "The scoreline didn’t really reflect the games, with all matches going comfortably into the second hour. Anthony Yu entered a B+5 v N+5 endgame which he couldn’t hold. Harry Rennell lost a pawn in the opening and a second in the endgame and that was that. Taisei Tsuruoka got to Rook and 4 v Rook and 5; again which he couldn’t hold. Predictably the last game to finish was the top board encounter where Justin Tan was a touch better but never enough to really trouble White. Haberdashers are, grading-wise, favourites to go on and win the event."